Despite the fact that humans have been doing a keto diet for thousands of years without realizing it, this seemingly new type of diet is all the rage right now. Before jumping on the keto bandwagon though, you shouldn’t only consider the right eating plan. “Buy 2, Get 1 Free,” “Buy 1 Get 1 50 Off,” and any other similar offers and discounts are a great way to save several bucks while grocery shopping. When you shop at the grocery market, check out the foods that are close to their expiration dates. You can either cook them right away or freeze for an extended shelf-life. The perk of living in a digital world is that you can order organic foods online without leaving your house. Buying foods online seems to be a bit risky but it’s all about the stores you choose. You can find tons of deals on Amazon or purchase quality, organic, and budget-friendly foods on Thrive Market. Keep your eyes peeled for wonderful offers and deals and see how you can save some bucks by buying in bulk. 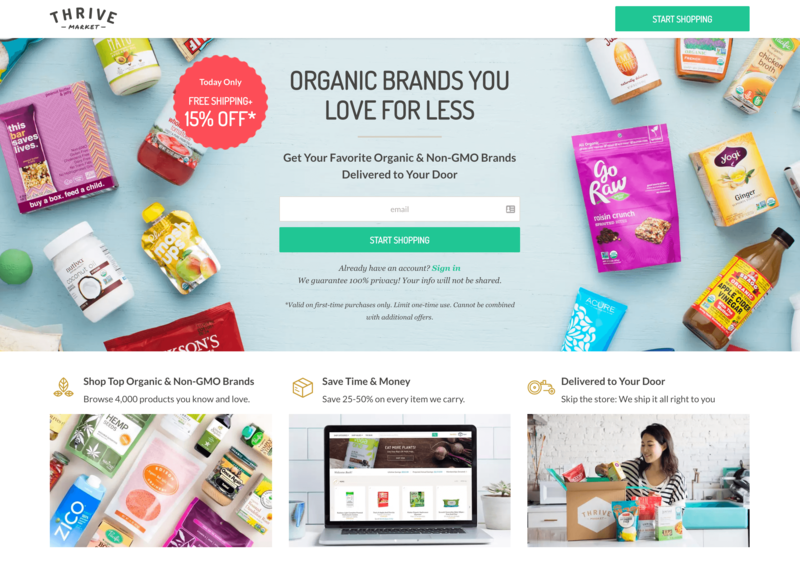 We did a comprehensive review of Thrive Market that you can find here. You probably know that you shouldn’t go shopping hungry. That’s a crucial rule #1 and a rule #2 is never going shopping without a shopping list. Whether you buy in bulk or you buy for a day, create a shopping list that includes all the necessary food items you need. Impulse buys lead to overspending, so stick to your list and make sure you don’t buy anything that isn’t on it. Buying in bulk seems to be the money-consuming process. However, if you buy in bulk and spend more money on the groceries this month, you can keep your paycheck safe and sound the next one. Most grocery stores and wholesale markets have a bulk section (usually) in the back where you can take as much as you need. By skipping the packaging, you’ll reduce your grocery bill in half (if not more). Just vacuum seal your foods to have more space in the freezer. The savings can be enormous, so stock up and stretch it out. When you’re looking to stretch your dollar while doing the keto diet, cooking at home is the best option. Eating out costs money and as statistics show Americans are spending more at restaurants and bars than on groceries. If you often dine out, calculate your expenses and you’ll see where half of your paycheck goes. Start with a weekly meal plan and try to choose the recipes that require simple and cheap ingredients. Experiment with herbs and spices to keep things interesting and add some variety to the same meals. If you have a busy schedule, try cooking in bulk – especially with the foods that are close to their expiration dates. Portion your meals out into small containers and freeze. Diet soda, alcohol, and coffee steal your money and cause harm to your body. Rather than paying for beverages that make you sick, enjoy a cheap or even cost-free drink – water. Your body needs water anyway so aim to drink at least 7 glasses of it. If you hate the taste of plain water, add some berries to it. Not only will you keep your body hydrated, but will also provide it with the powerful antioxidants the berries contain. It sounds funny at first, but it’s quite practical. When you eat less, you spend less. Of course, it doesn’t mean you should starve yourself. Master the art of mindful eating and don’t overstuff yourself. Eating smaller portions helps to reduce bloating, improve digestion, and trim your waistline. Consider using smaller plates to fool your eyes into thinking you have more food. Plus, waiting 5 to 10 minutes before having a second helping can help you trigger neurotransmitters that will tell your brain you’re full. If you have a farmers' market nearby, it’s a frugal way to load your fridge with cheap yet healthy fruit and veggies. Local produce is always cheaper because there are no store mark-ups or transportation expenses. And when you buy in season, you can save even more. Purchase a lot of fruit and veggies, cut and freeze them. See? Following the keto diet when you’re broke or on a very tight budget is possible. It’s all about planning, savvy shopping, and smart cooking. Using the right keto supplements can also help. 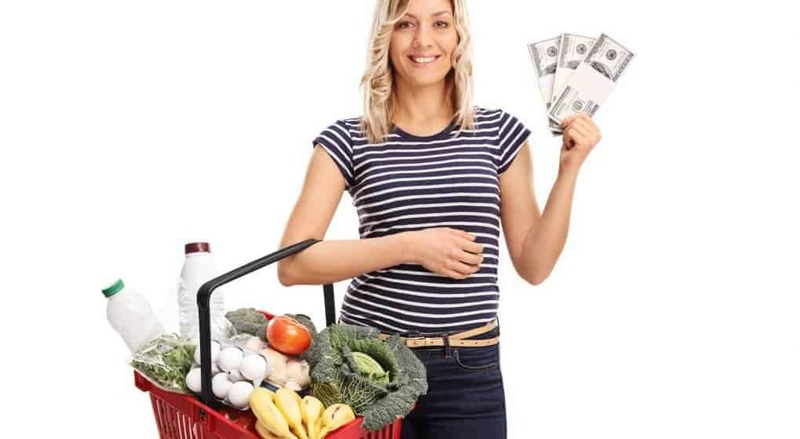 Although these tips sound a bit overwhelming right now, once you start using them, you won’t even notice that you’re eating your way to a healthier you while making your wallet happy. Catalina is a food and health writer who is obsessed with healthonism and whose wellness philosophy focuses on plant-based yet absolutely balanced eating, healthy lifestyle, and gratitude attitude. She believes indulging mindfully while living a healthier life is key to feeling brand new the moment you take the head off the pillow.